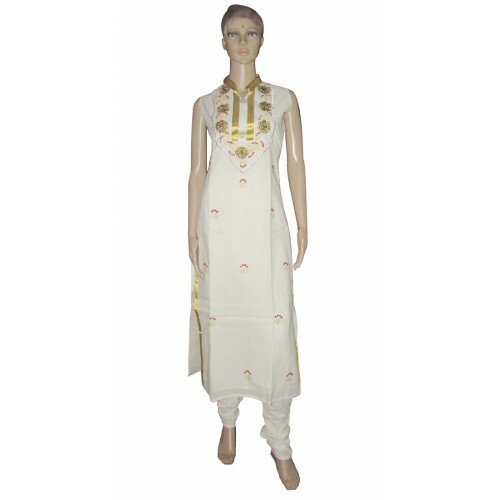 New modern Kerala kasavu churidhar with long top and crush bottom give a variety look for churidhar.This is purely Handloom material with high collared ‘v’ shape neck and embroidery work on its chest and small embroidery work throughout the front side of top.it is long top model for any aged people to make them a royal rich look.it have a golden border on its slit and dupatta is also attached. 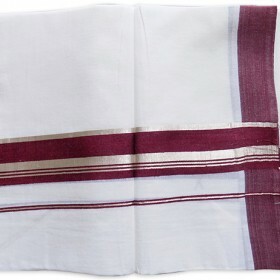 The top can be used as sleeve and sleeveless. 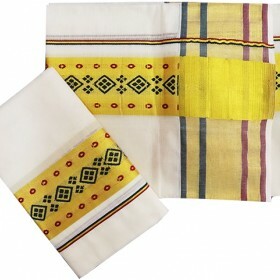 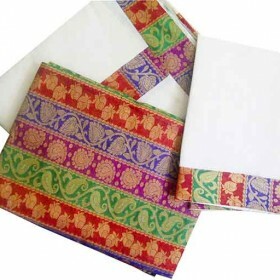 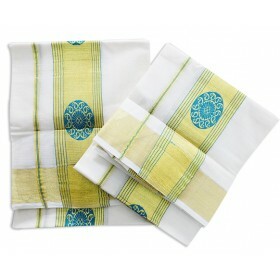 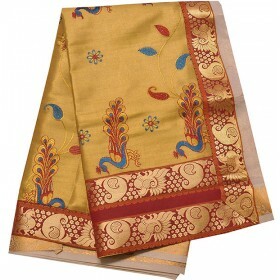 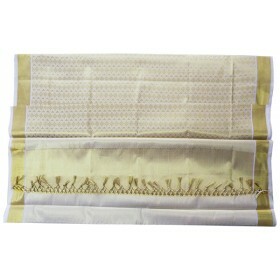 Sleeve is also provided; rush to get this elegant chudi.